Soraya offers her wealth of experience to the most complex of cases. Soraya has direct access experience in private and public law proceedings. Soraya specialises in family law, especially in ancillary relief/ financial remedies and matters concerning international law, including international child abduction, divorce and property cases involving both EU and non-EU countries. She deals with cases including divorce and common law marriage disputes, money and property claims including those involving children. 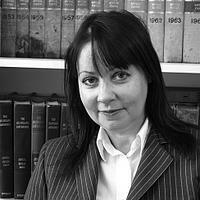 She has extensive experience in international and human rights law and has trained judges in Croatia and Montenegro. She has also trained academics and lectured in Russia. She has developed a specialisation in Eastern European legal systems, including Albanian as well as the former Soviet Bloc countries. Her international and human rights experience informs her Immigration work. Soraya is experienced with all aspects of immigration work. She can assist in visa applications and represent direct access clients at all level of immigration and asylum hearings. She also has experience of applications to the European Court of Human rights. Soraya is instructed as an expert witness in cross-jurisdiction disputes. The approved lawyer’s list for the Falkland Islands. Working understanding of Russian and related Slavic languages and Albanian.